I love the background information about the people as much as the information about the symbols used on their gravestones! Fascinating look into the past! Our current obituaries seem to always leave me with more questions than answers… the older ones answered questions before we even knew we had them….I like that! One of the best representations I have ever seen of an American flag on a monument is in Pendleton, Indiana, which I believe you have visited. There are also great ones in Crown Hill in Indy. 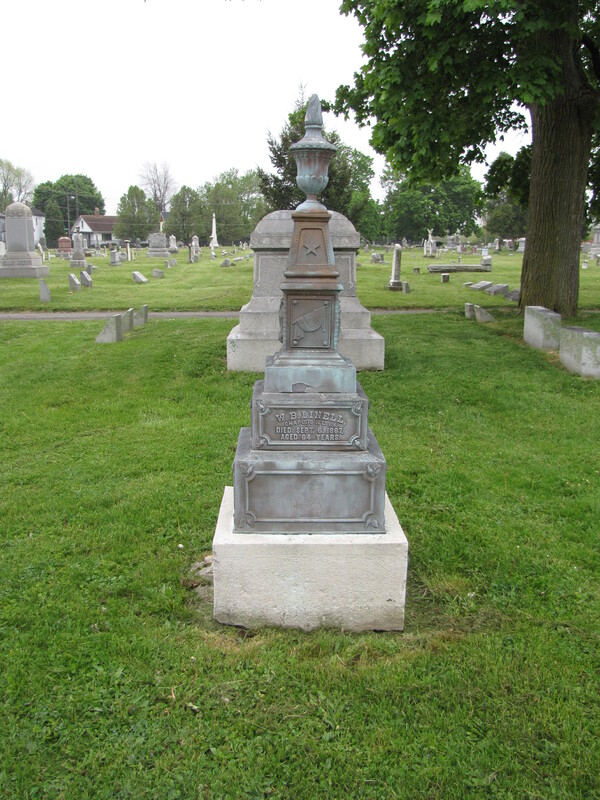 I hope you will take a look at my latest post–I think this is the gravestone you were referring to in your comment about the monument with the flag in the Grove Lawn Cemetery in Pendleton. 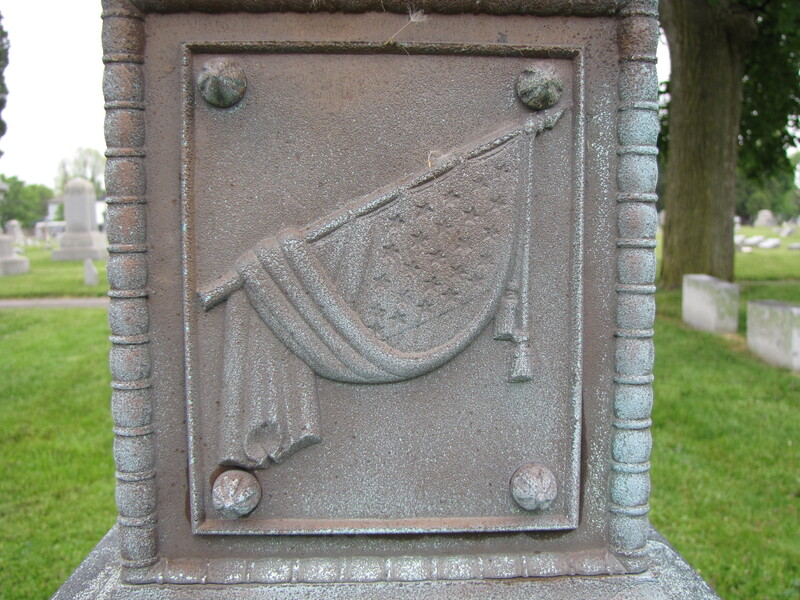 As you rightly point out it is one of the finest examples of a gravestone displaying the American flag.